What does the future hold for Mining Equipment? If your involved in the mining industry, the future of mining equipment is a topic you are probably interested in. According to an article on PRNewswire.com, the future is bright, "World demand to rise 7+% annually through 2019. Global demand for mining equipment is forecast to grow more than seven percent annually to $140 billion in 2019. While growth will slow from the 2009-2014 period, commodity prices are expected to increase by 2019, helping to fuel mining equipment demand gains. In addition, growth in manufacturing output, especially in the developing world, and renewed strength in construction in much of the developed world will continue to support mining equipment sales growth. Demand for mining equipment will increase at similar rates across nearly all product types, with sales of drills and breakers expanding the fastest. These units are used almost universally across all mining operations, especially during the exploration phase of a project. Additionally, the growing use of in situ mining techniques, where these products are a primary type of equipment employed, will boost demand. Crushing, pulverizing, and screening equipment and surface mining machinery will record the next fastest market gains. Underground mining equipment demand, on the other hand, will grow at the slowest rate of any major product type, with much of the deceleration occurring in China. Over the past decade China has invested heavily in underground mining equipment to improve the safety and productivity of its coal mining operations. However, much of this mechanization drive has been finished, limiting future sales opportunities. The developing world will continue to post the fastest gains in mining equipment demand. Many developing countries have significant metals and coal mining industries that require substantial levels of capital investment. This includes the Asia/Pacific region and Central and South America, which have large metals mining industries, and Eastern Europe and the Africa/Mideast region, which are sizable coal producers. Developing nations are also the most intensive users of mining equipment, when measured against mining output, due to the level of capital spending required in metals and coal mining operations. After more than tripling in size between 2009 and 2014, China will remain the The developing world will continue to post the fastest gains in mining equipment demand. Many developing countries have significant metals and coal mining industries that require substantial levels of capital investment. This includes the Asia/Pacific region and Central and South America, which have large metals mining industries, and Eastern Europe and the Africa/Mideast region, which are sizable coal producers. Developing nations are also the most intensive users of mining equipment, when measured against mining output, due to the level of capital spending required in metals and coal mining operations. After more than tripling in size between 2009 an d 2014, China will remain the largest national market for mining equipment sales in 2019. Rapid gains in manufacturing output and construction activity in the country, as well as government efforts to boost the mechanization of China's mines, resulted in torrid growth historically. Although it will remain a much smaller market, India will record the fastest gains of any country through 2019, as there is still a significant need for mine mechanization in India. In addition, mining output growth in India will be among the strongest in the world. The developed countries of Western Europe and North America will experience more modest rates of growth through 2019, although mining equipment demand in Western Europe will accelerate from the 2009-2014 period as the region's construction industry rebounds from a decade long decline. The majority of mining activity in these nations is for aggregates, which require less capital spending per metric ton of output than metals or coal. In addition, coal consumption and associated mining output is falling in many industrialized countries, as regulatory mandates lead to greater use of other energy sources. Read the full report: http://www.reportlinker.com/p01972781-summary/view-report.html"
Certified Mining and Construction Sales and Rentals rents and sells a large variety of mining and construction equipment and carries the top brands. Including Thern, 3M, Atlas Copco, Genie, Multiquip, Wacker Neuson, Vitali, Greenlee and many more. Great deal on Flowserve CS 4X10 and Flygt 8" water pumps! Certified Mining and Construction Sales and Rentals has Flowserve CS 4X10 and Flygt 8" water pumps on sale! - Includes: Rubber Insulated Water Proof Electrical Connection Cable. 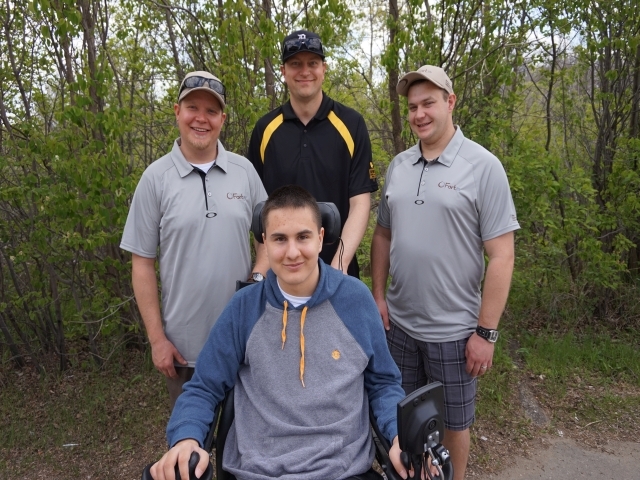 Certified Mining and Construction Sales and Rentals is proudly Saskatoon, Saskatchewan owned and operated and is a leading supplier of mining and construction equipment. 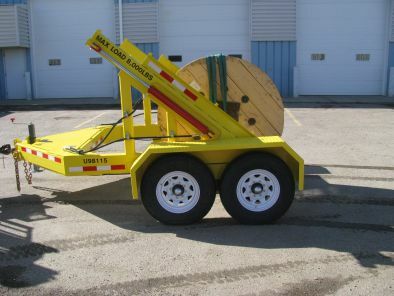 Certified Mining and Construction Sales and Rentals carries custom built Reel Trailers and Mobile Reel Handlers. 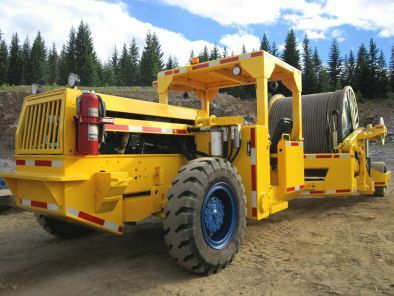 These reel unwinders and transporters are ideally suited for the mining and construction industry. Our reeling machines and trailers can easily unwind large spools or reels of wire rope and cable. If you need to move large reels we rent and sell Reel Trailers and have recently acquired a motorized Mobile Reel Handler. Our new to the market Mobile Reel Handler will easily transport large reels around site and pay out line.